You hear the same old quote repeated endlessly about fennel pollen, something about the sprinkling of spice from the wings of angels. Let's just call it angel dust. You remember that stuff from late-night cop movies—a drug that made users goofy and totally out of their heads. Like truffles, saffron, and a handful of other exotic, pricey, and painstakingly harvested goodies, fennel pollen enjoys the same reputation in certain quarters. I happened on a patch of wild fennel in late July when I was scouting locations for a class on urban foraging, part of a summer course offered by Cornish College of the Arts in Seattle called "The Art of Food." I was looking for ripening blackberry bushes in the downtown core when I saw these towering thickets of yellow blooms adjacent to a parking lot in the International District. 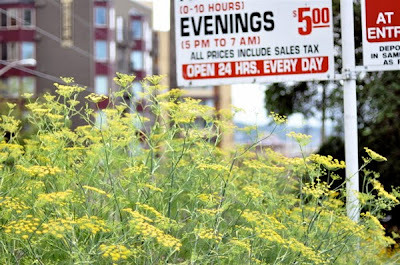 Sure enough, the blooms—some of them several feet high and buzzing with bees—turned out to be wild fennel plants. Who knows how they got here. They might have been planted on purpose long ago by Italian immigrants who populated my own nearby neighborhood in Rainier Valley, when small agricultural plots still existed within the city limits, a place fondly remembered as Garlic Gulch. Fennel is technically a weed in this country but it's native to the Mediterranean and has always been a favorite vegetable and spice of Greek, Italian, and other culinary traditions from that region. I don't have much experience with fennel pollen. I've eaten meats dusted with it in restaurants and that's about it. In my car I found a pair of scissors and some paper grocery bags (always useful to have nearby) and set to work. Basically I just looked for the best blooms and snipped them at the stem right below the flower head. It didn't take long to collect two full grocery bags of flowers. These I bunched together with the blooms facing down into the bag, stems tied. For the next several days I allowed the flowers to drop their tiny orange pellets of pollen and occasionally gave the bags a shake to speed the process along, a tip I gleaned from this article. By the end of the week I had accumulated about three tablespoons of the stuff. That's not a typo: 3 tbsp! Go crazy, huh. The thing of it is, though, you don't need much fennel pollen to jazz up a cut of meat or add an ineffable savoriness to vegetables. For my first try I used a couple teaspoons with pork chops (considered a classic combo in the Old Country) on a bed of sauteed broccoli from the garden. 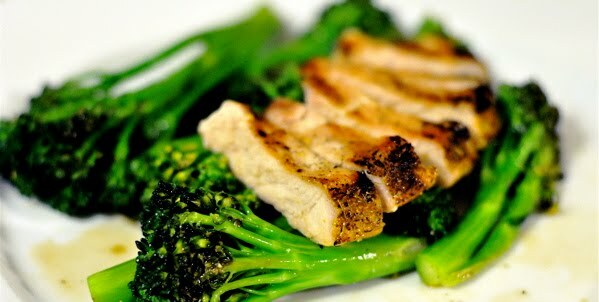 I rolled the fatty end of the chops in the pollen before grilling, then dusted the remnants on the broccoli as it cooked in the pan. One of the chops—the control—was left untreated as a comparison. 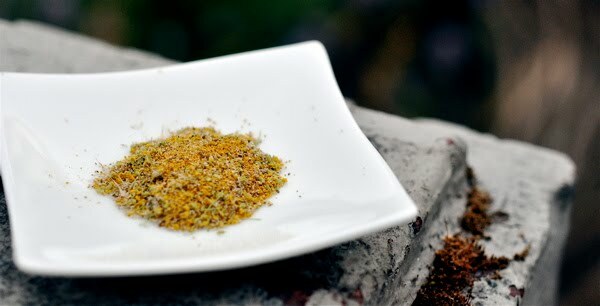 Great post - I recently tried fennel pollen and, while not becoming a junkie myself, liked it and was wondering about collecting it as I know of lots wild fennel around in Seattle. Also noticing that the 'invasive' passion flowers have fruit on - not ripe yet but I imagine it can't be much longer, so keep an eye out! Oh this is too fun - collecting fennel pollen is something I hadn't ever thought of doing. It sure beats paying the high price in stores. Fennel does grow weedy all over the damn place around here - mostly near train tracks and in other wastelands. I have bronze fennel in my garden, and have used the nectar-sticky flowers many times (they taste like Good N Plentys!) but haven't ever collected the pollen. I may have to. Ra - Plenty in Seattle to go around. Go get some! Ciao Chow Linda - To be honest, after the collecting plus the week or more of cajoling pollen from its hiding places I'm not ready to do the cost-benefit analysis, but at least I know its provenance. Vincent - Thanks for the visit. I'll check out Petitchef pronto. Seth - Would love to hear more about your inventory. Did you get some nice prince mushrooms this summer? On an outing in San Diego the other day I harvested a few bags of what I thought was dill, but after reading your post and doing some additional research, I'm certain what I actually found and harvested was fennel. The plant is everywhere in San Diego. I imagine pollen from bulbing fennel flowers would give you the same results. I just cut a head yesterday, with some leaves, and am using it to infuse vodka. Thanks for posting this! 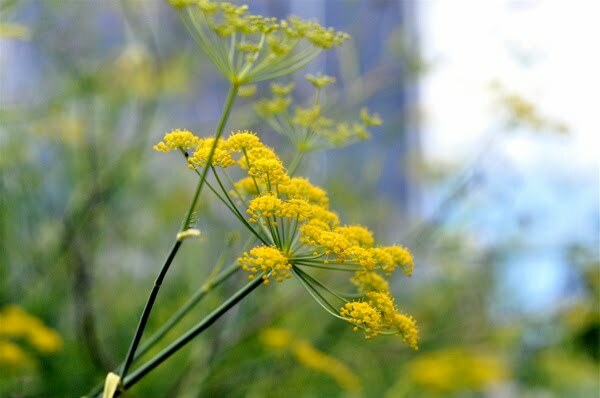 I had never heard of using fennel pollen before, and after reading this I noticed huge patches of fennel growing wild right along the route I take every day to get to town. I am excited to try this out! I'm really glad I met you at IFBC and remembered your blog.